Award winning, fresh tasting handmade vinaigrette, suitable for vegetable salads, fish or chicken. 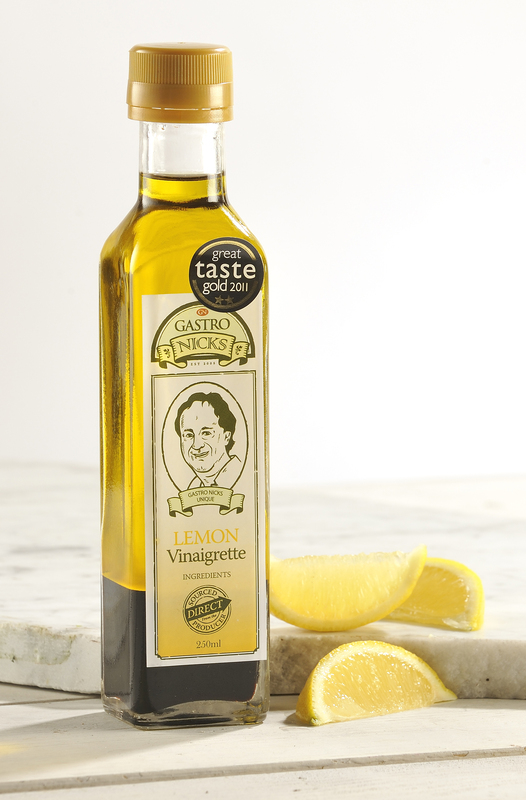 Two Gold Star Great Taste Awards – Lemon Vinaigrette, a fresh tasting dressing suitable for vegetable or chicken salads. Use as a marinade for shellfish, or chicken. A customer suggested adding to sweet potatoes half way through baking in the oven – delicious!